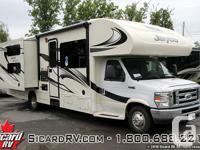 2014 Jayco Greyhawk 31FS C-Class Motor Home which is part of Owasco RV's Ex Rental Sale! 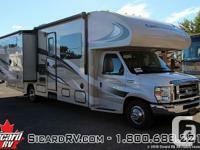 Sleeps Up To eight and has two Slide-Outs. One of our popular floor plans! 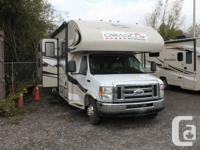 Well maintained former ex-rental unit that is ready for your next camping trip. 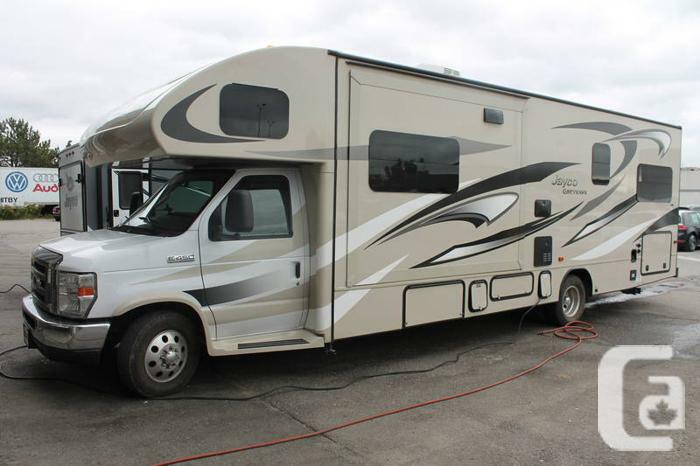 This unit has many popular features like NAVIGATION SYSTEM, HEATED TANKS, POWER AWNING, LARGE WALK AROUND BED, GENERATOR, WATER HEATER, TRAILER HITCH, AIR CONDITIONED, HEATING, FULL KITCHEN, FULL BATHROOM, TELEVISION, and many more great features! 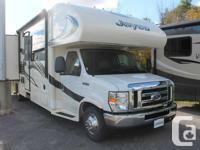 Visit us today at Owasco RV or call 905-579-XXXX to schedule an appointment. Please note that product details, pricing and images are as accurate as possible. Prices and specifications are subject to change without notice. All noted Canadian pricing are subject to applicable Licensing charges and Taxes. Pricing will change based upon current value of the Canadian dollar.